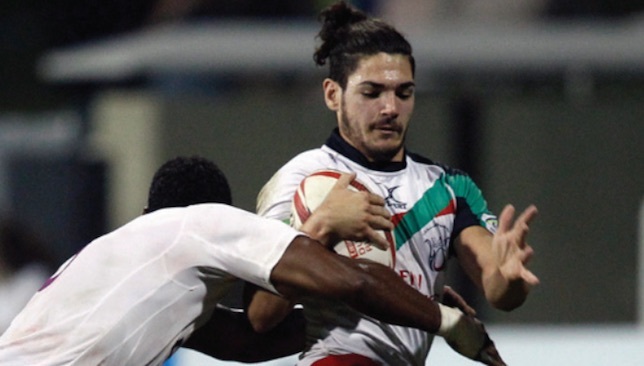 Apollo Perelini is concentrating on the ability of his own side rather than their opponents as the UAE get set to fight for promotion to the Asia Rugby Under 19 Championship. Perelini’s men – the first U-19 side to ever be assembled by the UAE – take on Singapore in Wednesday’s semi-final playoff in Manila hoping for a win that will take them into Saturday’s final at the Southern Plains Stadium. If they get past the side relegated from the top-tier of U-19 Asian rugby a year ago, the UAE will face either tournament hosts the Philippines or South Korea for a chance to join the elite ARC. That division is currently being contested by hosts Malaysia, Sri Lanka, Chinese Taipei and reigning champions Hong Kong in Selangor. UAE Rugby performance manager Perelini might well be encouraged by the fact Singapore dropped down 12 months ago after defeats to Sri Lanka (27-12), Chinese Taipei (21-16) and Hong Kong (61-10), although he insists he is not paying too much attention to today’s opponents. “The competition across the board will be tough,” admitted the former dual code Samoa international. “We don’t really know too much about Singapore or their potential, whether they’re strong or not. We’ve seen a bit of Korea, they will be strong. They’re up there with Hong Kong and will be our major threat. Perelini had picked five Emiratis as part of his original 25-man squad but many have been forced to stay at home due to exam commitments with their schools. Only UAE Shaheen player Ali Sajwani has remained part of the group, with four more expatriate players drafted into the touring party. “Due to government exams they were unable to travel, so predominantly it’s a full expat team now bar Ali,” added Perelini. Many of the squad are still in sevens mode having spent the last few months training and then playing with their teams at the Dubai Rugby Sevens, but Perelini was encouraged by what he saw in training before jetting off to the Far East. “The team’s prepared really well and looks good,” he said. “We’ve had three really good sessions before we left after the Sevens, getting our structures and patterns together, bearing in mind these guys have been playing sevens for the last two or three months. After seeing their senior counterparts catapulted back into the upper reaches of Asia rugby earlier this year, the UAE Under-19s will be aiming to follow in their footsteps at the Asia Rugby Under 19 Championship in the Philippines this week. Apollo Perelini led the senior UAE side back into Division I of the Asia Rugby Championship in May with crushing 63-13 and 70-18 wins over hosts Uzbekistan and Thailand respectively. Division I is directly below the top tier ARC contested between top Asian nations Hong Kong, Japan and South Korea, and the UAE will have an opportunity next year to re-join the elite for the first time since being relegated from the Asia Five Nations in 2013. The U-19s begin their own quest for promotion to Division I on Wednesday when they face Singapore at Manila’s Southern Plains Stadium, and vice captain Xander Crockart admits they will use the senior side’s success as a blueprint. “That is 100 per cent the goal and I have no doubt that we can achieve it,” said 18-year-old Dubai Exiles flanker Crockart, who leaves for Manila with the rest of the squad early this morning. “The boys are up for it, we’re really feeling a buzz between the players heading out on tour. There is no doubt we have got the team for the job, and will happily enjoy ourselves with this opportunity. Crockart will act as right-hand man to club-mate Nathan Appleby who is the UAE’s captain for the tournament, which kicks off on Wednesday. Should the UAE win their match with Singapore they will face either the hosts or South Korea in the final on Saturday with a place in Division I up for grabs. It’s been a glorious year for Crockart so far, claiming the club’s young player of the year award after being part of the senior Exiles side who won the 2015/16 West Asia Championship and UAE Premiership double. 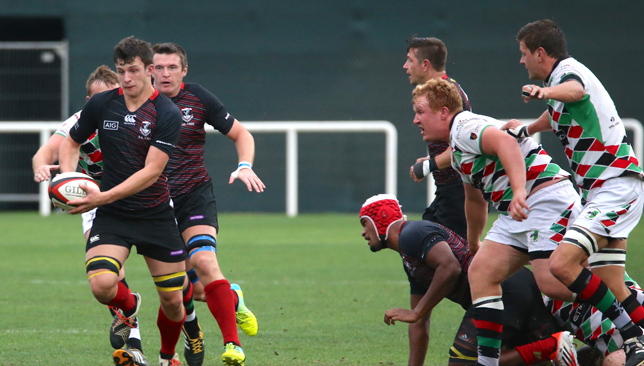 He started this season playing for the second team but has worked his way back into the first 15 and was part of the squad that won the Gulf Men’s League Plate competition at the Dubai Rugby Sevens earlier this month. Making great strides: Adel Al Hendi. 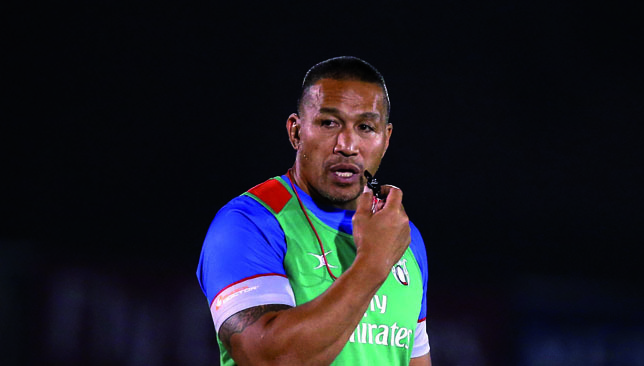 Following an ambitious and ultimately failed bid to reach the 2016 Olympic Games in Rio, the UAE reintroduced expatriates to its sevens and 15s teams under former performance manager Roelof Kotze. Apollo Perelini has continued that trend, while blending in Emirati players, and its worked well with the UAE making strides in both formats of the game. Perelini has entered an all-Emirati squad into the Dubai Rugby Sevens starting on Thursday and the former dual code star has a clear plan which he claims is only just beginning. Perelini has picked a 12-man squad for the International Men’s Open, kicking off against Middle Eastern Cougars Y on Thursday. One man selected is Abu Dhabi Saracens winger Adel Al Hendi, who has long been a part of the UAE sevens setups at all levels. He believes the UAE RF’s plans are also progressing. “I’m happy to be a part of the squad and our aim is to take the division,” said a confident Al Hendi, who believes the future is bright after the UAE Shaheen sides – made up of many players in the UAE squad in Dubai – reached the Plate and Plate Social finals at the Eden Park 7s last month.